Modern India History: Europeans Arrive and Thrive in India. Modern India history goes hand-in-hand with the British East India Company. This is because the East India Company came to India in the middle of the Eighteenth Century. It was supposed to be a Joint Stock Company sent over by Queen Elizabeth the 1st of England to establish trade in the East Indies, but it ended up trading primarily with India and China. The British took occupation and power over much of India. This period in India's history is known as "The Coming of the Europeans". India, at first, welcomed trade opportunities with the British, but the relationship quickly grew sour when the English began to rule over India. In fact, the disharmony caused by British Rule caused the First War of Indian Independence during modern India history. The event that led to this war was the Indian Rebellion of 1857. It began with small attacks on the British East India Company's Army in the town of Meerut. This battle resulted in more uprisings in multiple regions of India; some in which British Rule was severely threatened. The British, regained control when it defeated the Indian people in the town of Gwailar in 1858. Following this defeat, rule over India, was transferred from the British East India Company to the British Crown. This meant that Queen Victoria herself now ruled India. During the British Raj, India experienced both some positive and negative changes. Its physical and organizational structures developed rapidly, making it into a much more modern nation, but at the same time, its economy sank to low levels. During the first half of the 20th Century, the Indian People decided that something had to be done and the Indian National Congress launched a campaign known as the Struggle for Independence. This Indian Independence Movement was a collection of political organization, philosophies and movements that united to rid India of British Rule. The Muslim people of South Asia also joined India in this effort. The Struggle for Independence began with Political Idealism and Militant efforts, which crumbled due to a failed Indian partnership with Germany during World War I. In the 1920s, the Indian National Congress chose a more effective approach when it adopted the policies of Nonviolence, led by Gandhi. Gandhi is considered a hero in Modern India History. The idea behind these philosophies was to refuse to respond to an enemy with a violent act, and that by doing so your enemy will lose interest in the altercation and be left with no other recourse than to withdraw their negative actions. Later leaders differed in their adoptions of the Nonviolent Movement. Some took a more militant approach, while some worked towards both political and social independence. It was the last straw for India when the British entered India into World War II against India's will. India was split in two groups; those who supported the British in the war, and those against. It was during World War II that India saw the formation of the Indian National Army and the Quit India Movement, which were designed to overthrow the British Raj. India remained under the British Raj until January 26, 1950, when it signed its constitution to announce itself as a Republic following its partition from Pakistan. Today, India is the second most populated country in the world, and has developed a rich culture in direct result to its history. 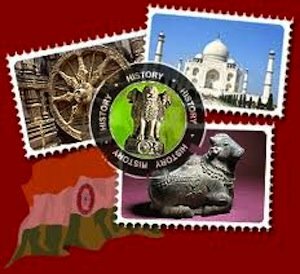 Leave modern India history to discover other eras of India's history. Check out what it's like in India today! Go to our homepage to explore more of India.